A leader of the life insurance sector and known for its corporate nimbleness in reacting to market dynamics, Nordea Life Assurance Finland designs and offers a product range that incorporates sustainability principles throughout the process cycle. By adhering to strict ESG (environmental, social, and governance) standards the firm has succeeded in reducing its exposure to risk and pursues a set of corporate policies that take the interests of all stakeholders into account. Nordea Life Assurance Finland’s operations are anchored in its Life 2020 Strategy which includes improvements to the overall customer experience. The firm is aware of the need to offer its customers a personalised experience on any platform as a prerequisite – and driver – of business growth. The company wants to be seen as highly responsive to current and prospective policyholders. To that end, Nordea Life implemented a streamlined yet comprehensive platform that prioritises the customer effort score over the more traditional net promoter score. Being responsive and nimble is, however, only part of the story; in order to meet not only customer demand but also address customer concerns, life insurers need to become ESG-aware and put their operation on a sustainable footing. Nordea Life ascribes its leading market position, in part, to its early adoption of green policies that do not just involve cosmetic changes but permeate throughout the company and also determine the way customer funds and savings are handled and put to work. Nordea Life’s Savings Product Strategy 2020, a complement to the broader Life 2020 Strategy, includes a whole range of ESG initiatives and now guides the firm’s investment policies and decision-making processes. The CFI.co judging panel notes Nordea Life has also been recognised as a Great Place to Work. Employees are encouraged to sign up for skills development programmes, community engagement initiatives, and come up with innovative ideas and suggestions in a ‘Ideas to Values’ process. 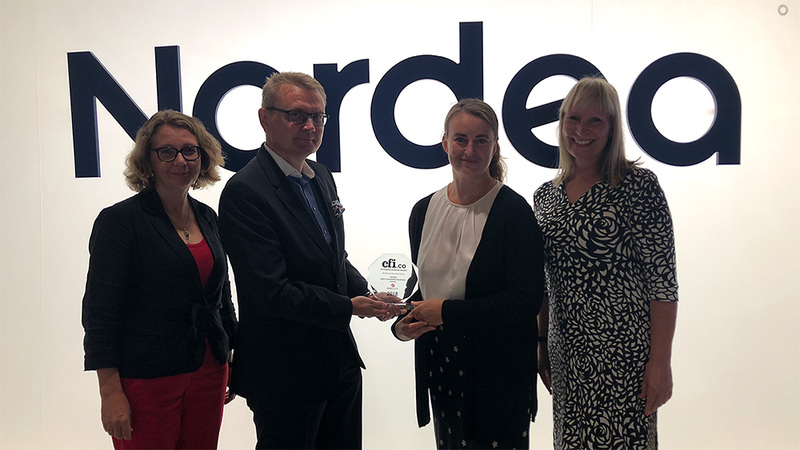 The judges feel pleased to grant Nordea Life Assurance Finland the 2018 Most Sustainable Insurance Nordic Award.